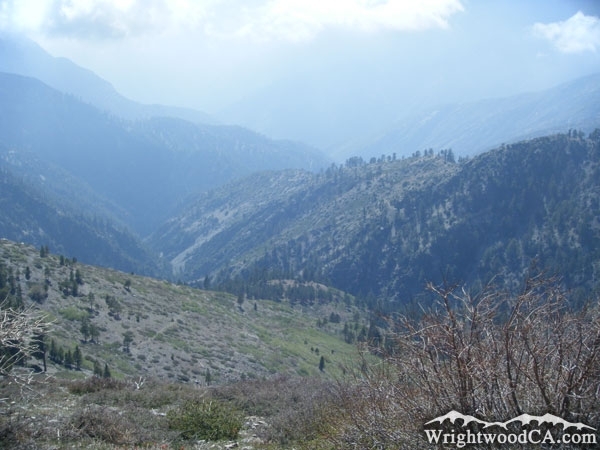 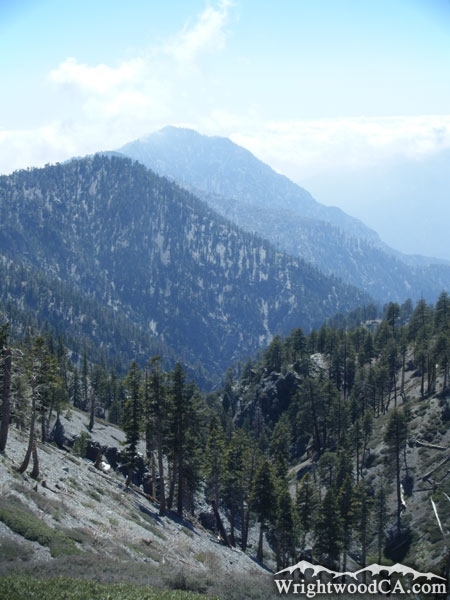 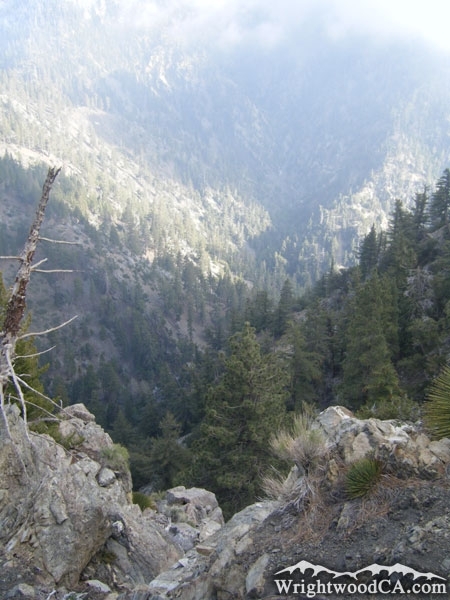 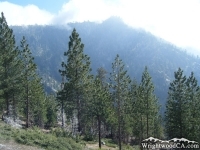 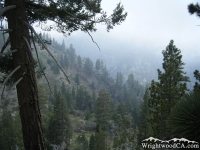 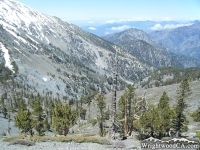 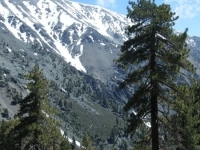 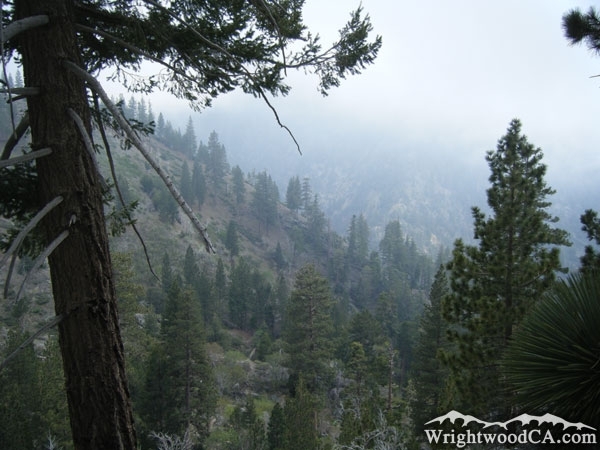 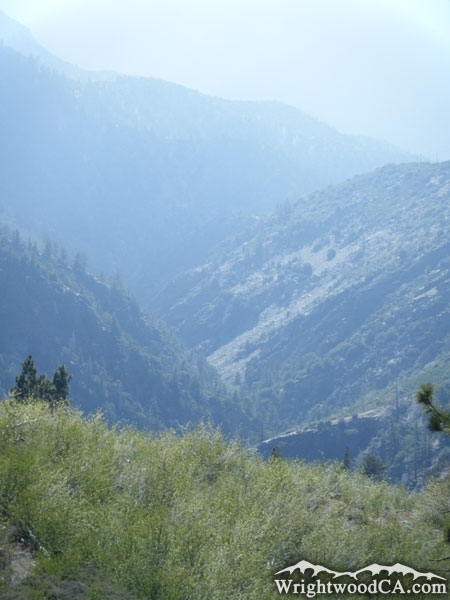 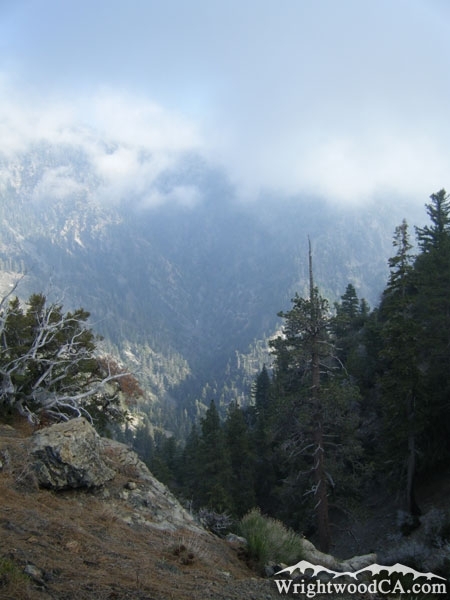 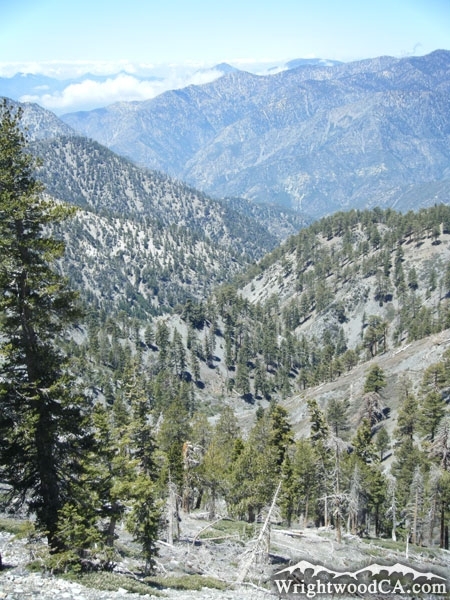 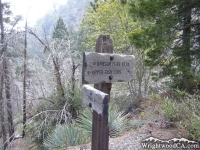 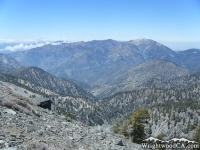 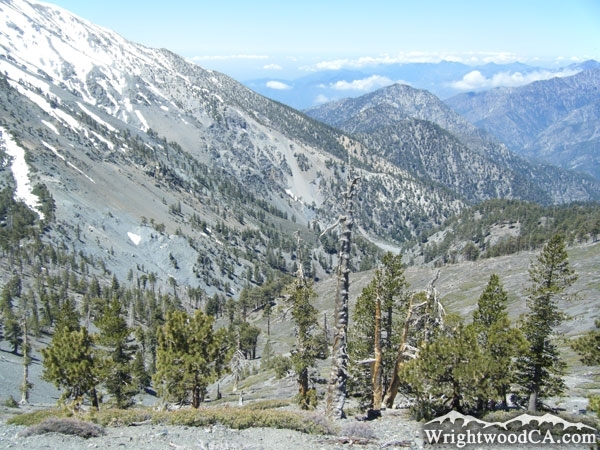 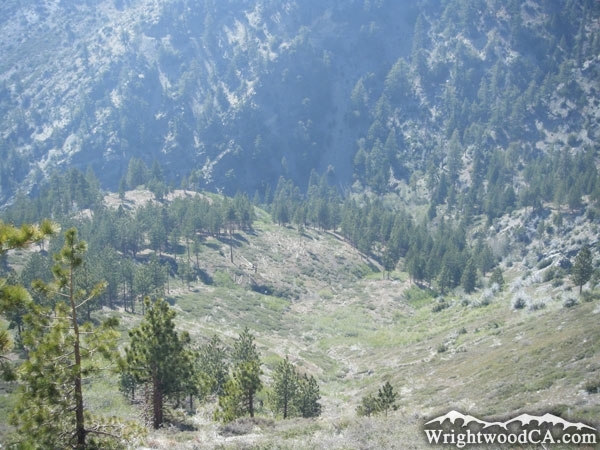 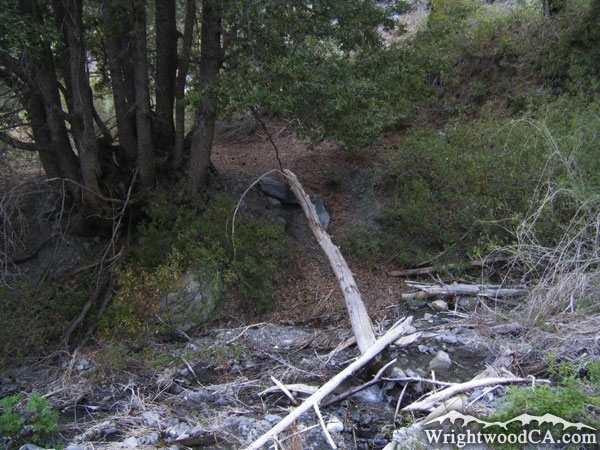 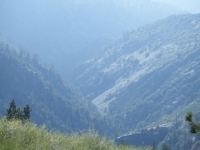 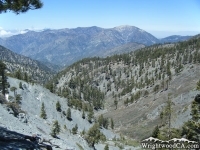 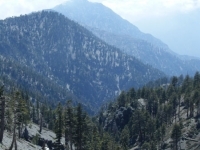 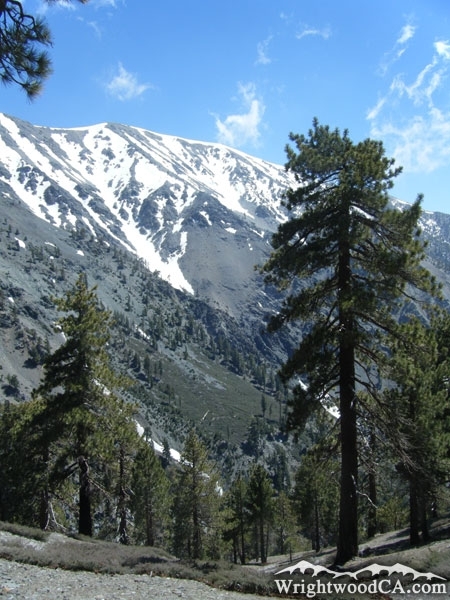 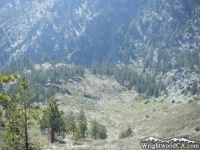 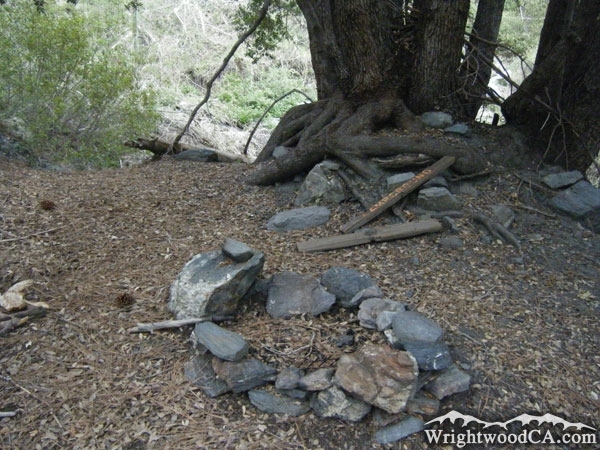 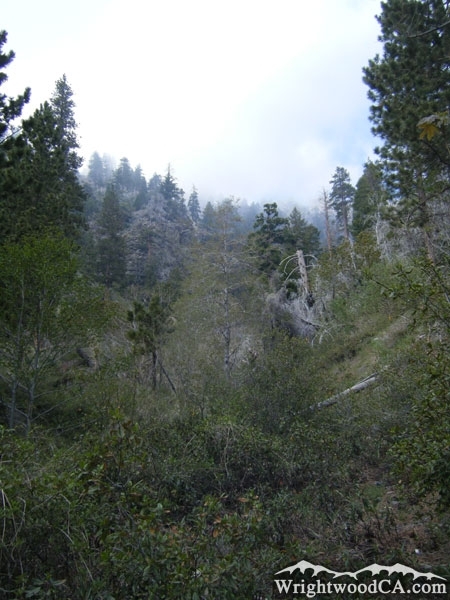 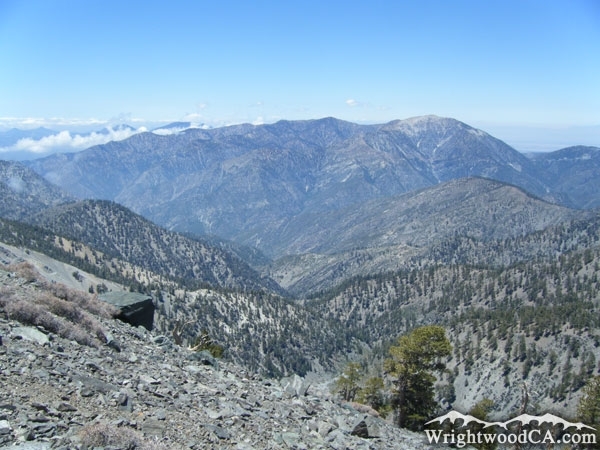 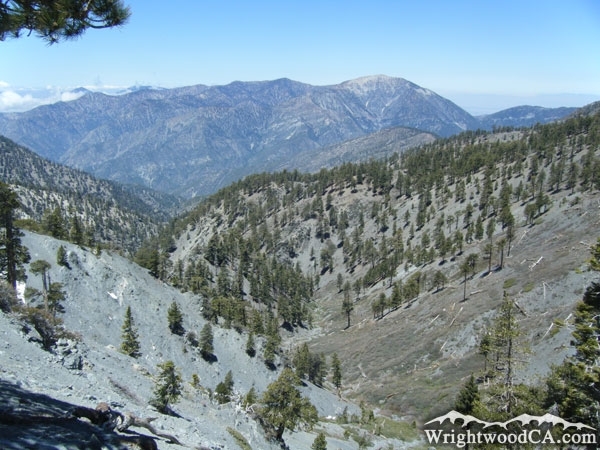 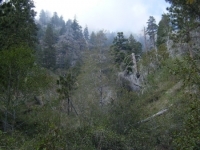 Fish Fork, located south of Wrightwood, between Pine Mountain Ridge and Iron Mountain (Mt Baldy's Ridge), is one of the most remote areas in the San Gabriel Mountains just because it is so hard to access. 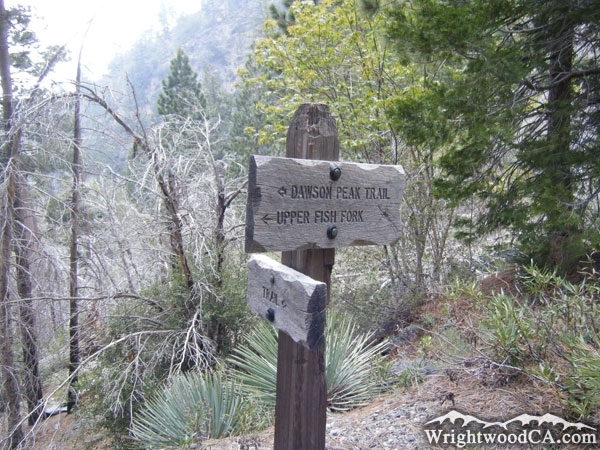 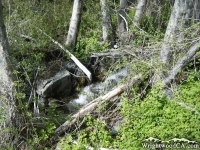 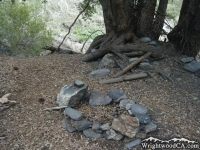 There are no roads leading to the Fish Fork area, only poorly (and I mean POORLY) maintained hiking trails. 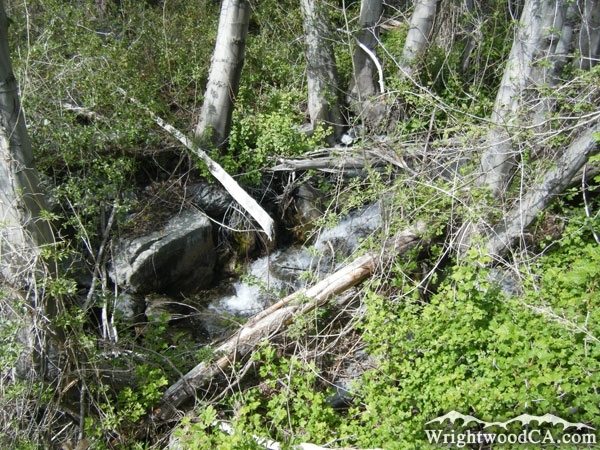 Fish Fork does have some amazing scenery, where it isn't overgrown near the water. 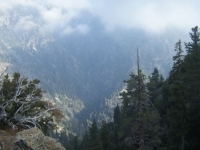 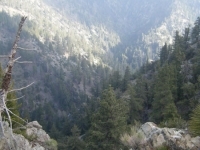 There are steep canyon walls all around Fish Fork, including the tallest wall of any local canyon, the north-west face of Mt Baldy. 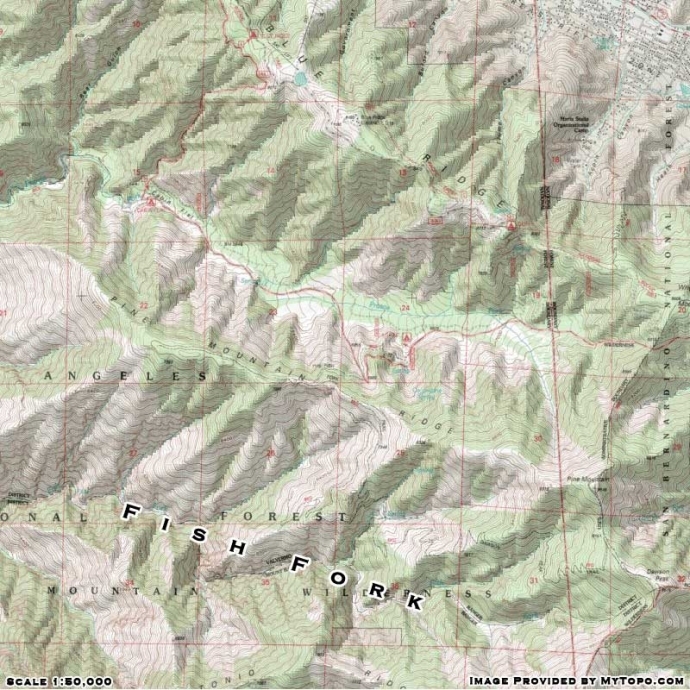 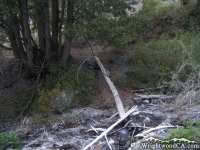 All water in Fish Fork dumps into the East Fork of the San Gabriel River.